Weighing in at just 285g, Olympus claims that their updated 14-150mm f4/-5.6 II super-zoom is almost half the weight of many of its interchangeable lens competitors. If you’re looking for a lightweight all-in-one Olympus shooting solution for holiday photography or photo day trips, the new Olympus 14-150mm f/4-5.6 II is just for you. Updated from its first iteration, this latest Olympus super-zoom now features a weatherproof exterior to better protect it against the elements, as well as new lens coatings for enhanced image quality. Covering a wide-angle through to super-telephoto focal length, the 14-150mm offers an equivalent 28-300mm focal length, taking into account the 2x “crop factor” of Olympus Micro-Four-Thirds sensors. Covering such a wide range, the maximum aperture is of the “slow” variable variety, offering maximum light transmission at f/4 when fully zoomed out, closing down one stop to f/5.6 when fully zoomed in. That’s standard for a super-zoom of this type, though. The new lens also features a minimum 50cm focusing distance throughout the entire focal range, and Olympus’s MSC autofocus motor promises fast and near-silent autofocus performance, making it a useful lens for videography, too. 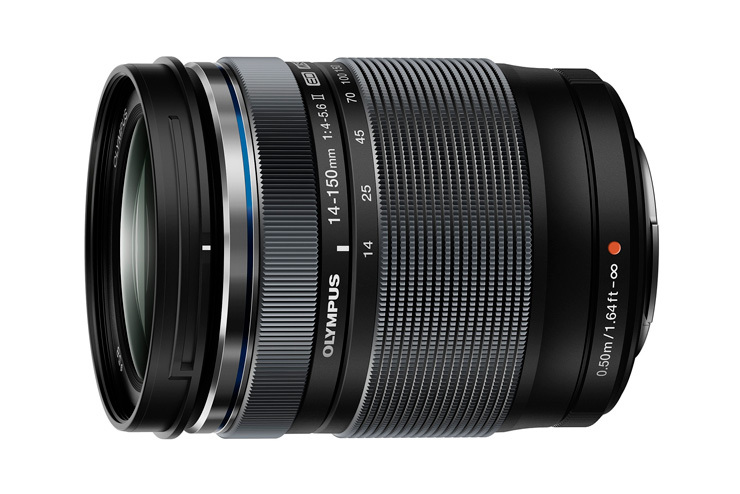 The new Olympus 14-150mm f/4-5.6 will come supplied with a lens hood, as well as front and rear lens caps, and is available from late February 2015, priced at £550.